Cleopatra belonged to the Ptolemaic dynasty, which was actually Greek, while some sources even add that it originated from Alexander the Great, who appointed his relative - Ptolemy, as ruler of Egypt after he conquered it. 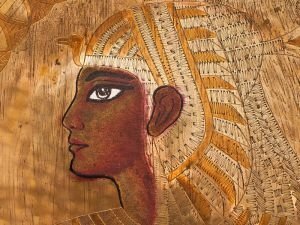 Most recent articles and materials in regards to Cleopatra. Find out about mysteries, stories along with handy advice in regards to Cleopatra. See the most recent charts as well as write ups in regards to Cleopatra. Archaeologists began excavations of the thombs of Cleopatra and her favorite Marc Anthony in Magna Taposiris. Cleaopatra manages Egypt until Augustus defeated Marc Antony in the battle of Actium.